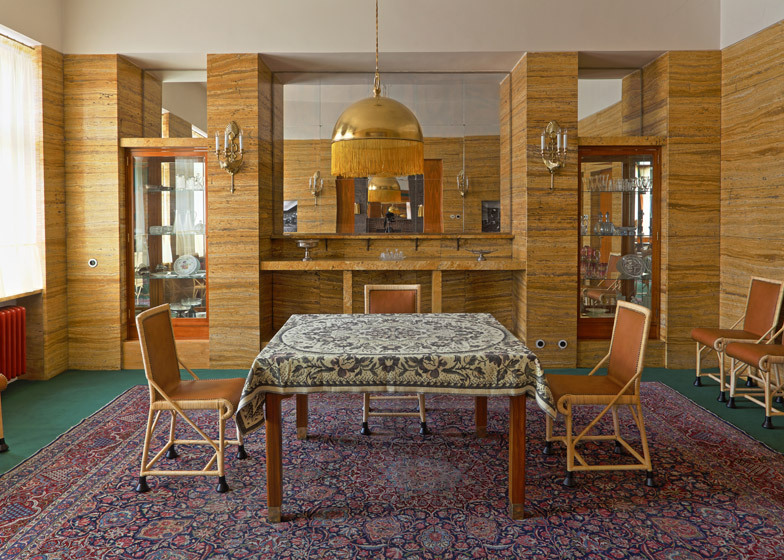 News: from April visitors to the Czech city of Pilsen will be able to visit three restored interiors designed by influential Modernist architect Adolf Loos in the early 20th century (+ slideshow). 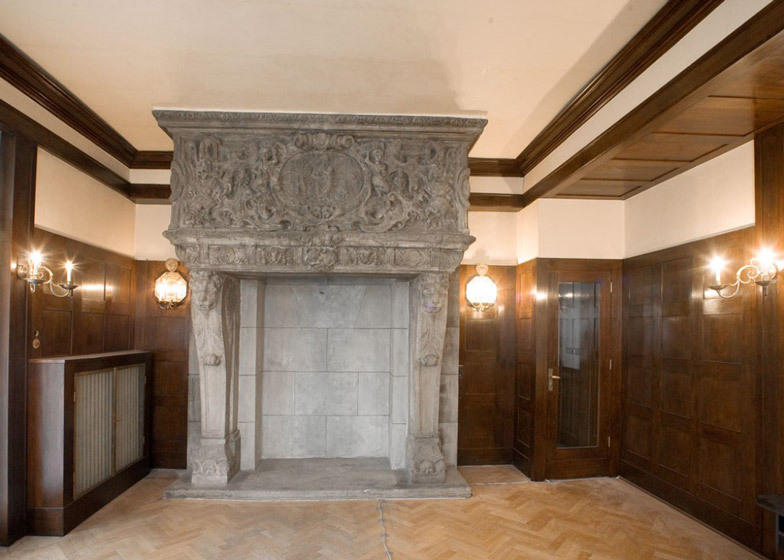 Loos, famous for designs including the Villa Müller in Prague and the American Bar in Vienna, completed a series of interiors in Pilsen for wealthy Jewish families between 1907 and 1932, ahead of his death in 1933. The advent of World War II led to many of these homes being abandoned and falling into the hands of the Nazis. Some were later used as offices by Czechoslovakia's Communist government, while others were demolished by their tenants. Today only eight remain. Ahead of its year as a European Capital of Culture, Pilsen embarked on a project to restore several of these spaces. Properties at 12 Klatovská Street and 10 Bendova Street were restored last year, and as of April both these and the newly renovated Brummel House at 58 Husova Street will be open to the public. 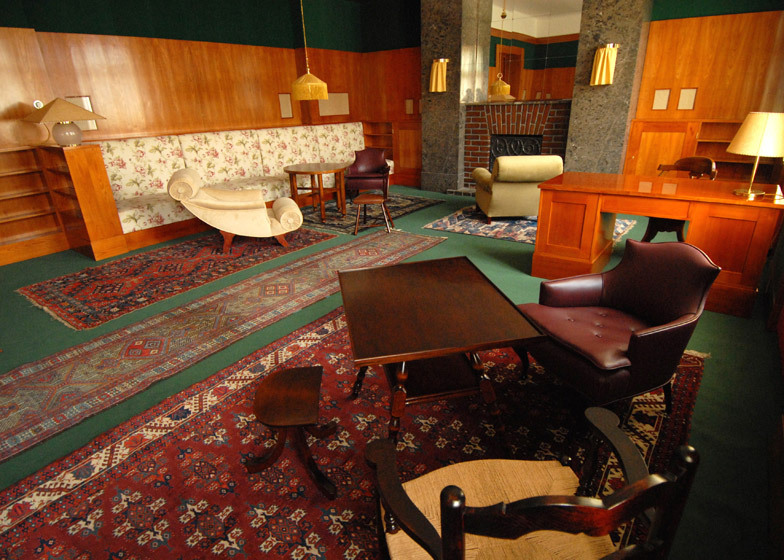 Loos – who was born in Moravia, now part of the Czech Republic – is widely considered to be one of the most important architects of the Modern movement. 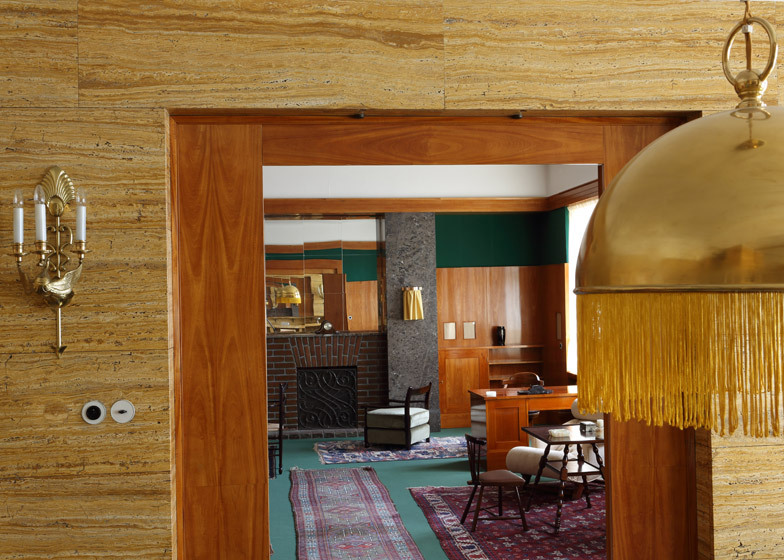 His Raumplan architecture concept, which advocated designing every room around a specific purpose, offered an alternative to the open-plan structures promoted by Le Corbusier and informed many of his residential designs. 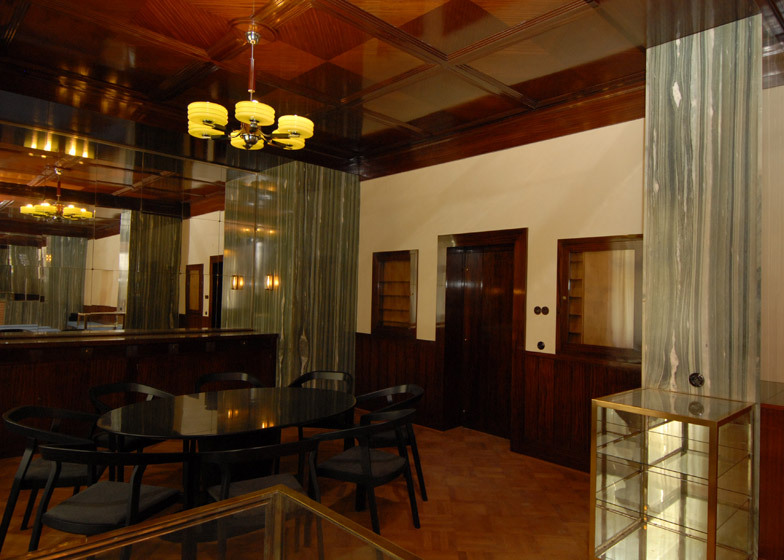 "Adolf Loos is a significant personality of modern architecture and Pilsen was truly lucky for most of his apartment interior conversions to have been realised here," said Pilsen mayor Martin Baxa. "It can rival even Vienna for the number of such unique spaces." 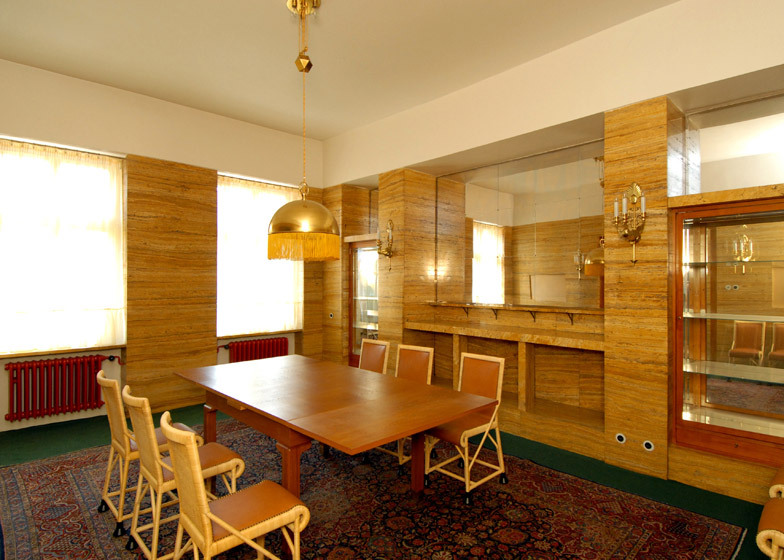 At 12 Klatovská Street, a team led by architect Václav Girsa used archive photography to recreate the interiors of the dining room and living room formerly owned by doctor Josef Vogel and his family. 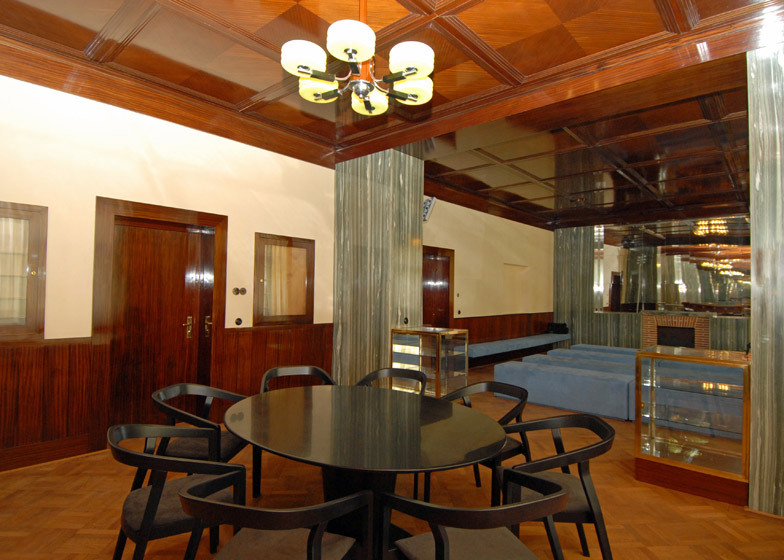 Replica chairs were produced to furnish the space, based on historical pieces borrowed from another Loos-designed interior. 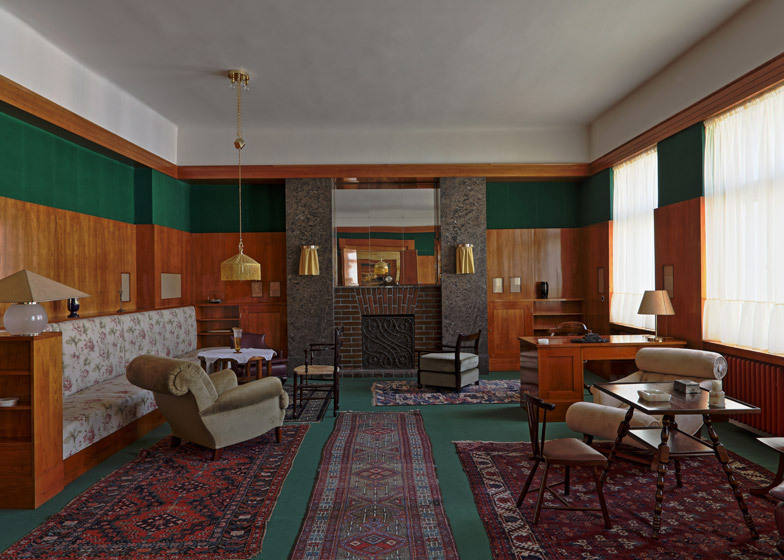 The residence at 10 Bendova Street, designed for the family of Vilem and Gertruda Kraus, was one of Loos' last projects before his death. The property features an adjoining drawing room and dining room, where facing mirrors create infinite refections. In the living room, walls are white-green marble and black mahogany ceiling tiles are complemented by a fireplace, while the bedroom includes a custom-designed dressing table with an integrated hat holder. Brummel House, which survived bombing and several demolition attempts, was returned to the family of its original owners Jan and Jana Brummel after the war was over. A private owner recently undertook its renovation and it will be unveiled for the first time in April. Tour details can be found on the city's website.